December 15-17 – “A Disarranged Marriage”, a Holiday Madrigal Dinner, was presented at Coyote Creek for three performances. June 19, 22, 24 – Kicking off our “on summer” year at Limestone High School was the Annual Youth Weekend: Arc Light, Junior presented “Pan!” and Arc Light, Youth staged “Hillbilly Hankerin’ “. Over 80 young performers were involved between the two shows. May 18-19 – The hilarious musical “The 25th Annual Putnam County Spelling Bee” took over Coyote Creek for two performances. December 15-17 – “Love Notes”, a Holiday Madrigal Dinner, was presented at Coyote Creek for three performances. July 21-23 – The Regional Premiere of the musical “James and the Giant Peach”. June 20, 23-24 – Annual Youth Weekend: Arc Light, Junior presented “Princess Who?” and Arc Light, Youth staged “Phantom of the Campfire.” Over 60 young performers were involved between the two shows. A daytime matinee series was held on the 20th to over 400 day camp students from throughout Central Illinois. May 19-20 – A return to our spring productions at Coyote Creek, an interactive production of “Knock ‘Em Dead” was presented as a dinner theater. December 17-18 – “A Very Mary Madrigal” returned to Coyote Creek for our 3rd Madrigal Dinner with a cast of over 70 singers, actors, and instrumentalists for two sold-out shows. July 21-24 – “Legally Blonde the Musical” was presented by a cast of 30 over four performances. June 21, 24-25 – Annual Youth Weekend: Arc Light, Junior presented “Gran’s Guide to Stopping and Ogre” and Arc Light, Youth staged “Pirate Swamp Zombies.” Over 50 young performers were involved between the two shows. A daytime matinee was held on the 21st to over 300 day camp students from throughout Central Illinois. May 20-21 – In celebration of our 10th anniversary, Arc Light returned the hit show “Nunsense” to Coyote Creek as a special dinner theater presentation. December 19-20 – Our Madrigal Dinner returned, this time titled “Gold, Frankincense, and Myrhh-der” – a murder mystery themed medieval presentation. A full compliment of actors joined the adult singers and two children’s choirs for this event. Vocal performances were also given at the Glasford Bank Camelot Christmas shopping event. July 24-26 – “Little Women,” the musical adaptation of the classic American novel, was presented as the main summer production. March 28 – Kids up to age 16 came to attend our first Audition Workshop, teaching skills for a better audition and character building to these young actors. December 13-14 – Returning to Coyote Creek Golf Course, “Christmas On the Green” was presented as a dinner theater Madrigal. Two choirs of children, adult singers, and actors entertained this golf-themed event. Vocal performances were also given at the Glasford Bank Camelot Christmas shopping event. July 24-27 – “Thoroughly Modern Millie” was presented by a cast of 25 over four performances. June 24, 27-28 – Arc Light, Junior presented “Toy School” by Paul Collette and Robert Wright and Arc Light, Youth staged “Murder at Crooked House” by Tim Kelly. Over 50 young performers were involved between the two shows. A daytime matinee was held on the 24th to over 300 day camp students from throughout Central Illinois. May 16-17 – “Ordinary Days” by Adam Gwon was presented as a special performance at the Apollo Theater in Downtown Peoria. December 13-15 – “It’s a Wonderful Life” was presented at Coyote Creek Golf Course. The production also presented snippets of the show at the Peoria Riverfront Museum and the children’s chorus performed at Glasford Bank’s Camelot Christmas. August 17 – Arc Light returned to Hollis Park District’s “Oz Festival” to provide costumed characters during the event. July 19-28 – Meredith Willson’s “The Music Man” closed out the summer season at Illini Bluffs High School. June 25, 28-29 – Arc Light, Junior presented “Big Bad” by Alec Strum and Arc Light, Youth staged “The Prophecy of the Shoe” by Douglas Clinton. Almost 50 young performers were involved between the two shows. A daytime matinee was held on the 25th to over 200 day camp students from throughout Central Illinois. February 15-16 – “Songs for a New World” by Jason Robert Brown was presented as a two-night Valentine’s dinner theater event at the Waterhouse in Downtown Peoria. December 14-16 – Another holiday dinner theater was presented at Coyote Creek Golf Course, “Miracle on 34th Street,” adapted by Mountain Community Theater. The children’s choir performed at Glasford Bank’s Camelot Christmas. August 18 – Actors from “The Wizard of Oz” participated in Hollis Park District’s “Oz Festival” and provided performances from the show and also roamed the park as costumed characters. July 20-29 – Engaging for the first time in a two weekend run, Arc Light closed the summer season with the family classic “The Wizard of Oz” by Frank L. Baum, at the time the highest attended production in Arc Light history. July 2, 6-7 – With strong turn out in prior years, the Youth Division was split into a Junior and Youth production. The Junior, a one-act play as an intro to theater was “Monsters Under the Bed” by Fr. Dominic Garramone while the Youth show, a full length play, was “The Somewhat True Tale of Robin Hood” by Mary Lynn Dobson. A daytime matinee was also performed on July 2nd to local day camp students. June 1 – Arc Light presented a Short Play Festival that included performances of the one-act plays “Just in Time” by Joe Roderick, and “Actor’s Nightmare” by Christopher Durang as well as performances by graduates of Improv classes held the months prior. December 16-17 – For two sold-out performances, Arc Light presented the Christmas classic “It’s a Wonderful Life” at Coyote Creek Golf Club as a dinner theater. July 22-24 – Completing the 2011 Summer Season, Arc Light presented “Into the Woods,” the Tony-award winning musical by Stephen Sondheim and James Lapine. July 22-23 – Arc Light Junior presents “The Skokie Detective Charter School” by Philip Dawkins featuring actors under the age of 14. Two matinee performances for local day camps were presented on July 20. July 6 – Arc Light hosts playwright Philip Dawkins, author of the 2011 youth production, for the second year. While in town, Dawkins observed rehearsals and presented a series of playwriting workshops for all ages. June 23-25 – “Honeymoon at Graveside Manor” by Pat Cook is presented in the Illini Bluffs High School theater. June 3 – Arc Light kicks off the summer season with the interactive “Murderous Mansion of Mr. Uno” by Don Zolidis in the Illini Bluffs High School theater. May 6 – In partnership with Coyote Creek Golf Course, Arc Light presents a one-night only dinner theater, “The Bold, the Young, and the Murdered” by Don Zolidis. July 22-24 – “MASH” adapted by Tim Kelly presented in the Illini Bluffs High School theater. July 22 – Arc Light Junior’s youth theater production of “Edgar and Ellen: Bad Seeds!” by Philip Dawkins is presented in the Illini Bluffs High School theater. Special visit on July 21-22 by the playwright. July 17 – The cast of the Arc Light Junior production of “Edgar and Ellen” went on the road and perform a portion of the show twice at Barnes and Noble in Peoria, IL. June 24-26 – Arc Light presents its first musical: “Nunsense” by Dan Goggin in the Illini Bluffs High School theater. June 4 – “Night at the Improv” event held at Illini Bluffs High School with performers Evan Deppermann, Jon Meyer, Samantha Moss, Joseph Roderick, and Cara Wolfe. April 16 – The “Night at the Improv” show performs at The Waterhouse in Peoria, IL with performers Evan Deppermann, Justin Hicke, Joseph Roderick, and Cara Wolfe. 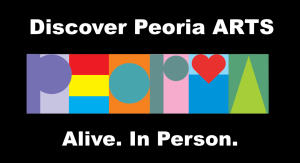 Early 2010 – Arc Light participates in the formation of the Live Theater League of the Greater Peoria Area. December 30 – With a holiday themed performance, the “Night at the Improv” event performs again for ci|creative at the Grand Prairie Mall in Peoria. July 23-25 – “Once in a Lifetime” by George S. Kaufman and Moss Hart is presented in the Illini Bluffs High School theater with a cast of 36 performers. July 23 – Arc Light presents the first “Arc Light, Junior” youth theater production: Mother Goosed in the Illini Bluffs High School theater. July 18 – The “Night at the Improv” performance goes on the road to the ci|creative performance space at the Grand Prairie Mall in Peoria, Illinois to present two shows. June 5 – “Night at the Improv” event held with performers Evan Deppermann, Justin Hicke, Samantha Moss, Joseph Roderick, and Cara Wolfe. July 26 – “Arc Light turns to teens driven by drama” by Gary Panetta. Article coverage in the Peoria Journal Star. July 22 – In conjunction with Alpha Park Library in Bartonville, Illinois, Arc Light performs a reduced version of “Get Smart” for their Adult Summer Reading Program celebration. July 17-19 – Arc Light presents “Get Smart” by Christopher Sergel in the Illini Bluffs High School theatre. “Get Smart” featured a cast of 29 performers. June 6 – First annual “Night at the Improv” event held with performers Evan Deppermann, Justin Hicke, Samantha Moss, Joseph Roderick, Katie Waters, and Rachel Waters. July 20-21 – First production of “Robin Hood” by Don Nigro is held in the Illini Bluffs High School theatre. “Robin Hood” drew an average of about 200 audience members each performance night and featured a cast of 36. 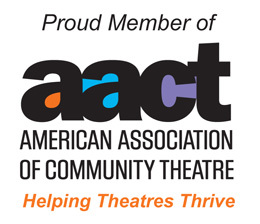 January – Arc Light Productions is founded by Jeff Driscoll and Rachel (Waters) Roderick as a means to help promote theatre and the arts in Glasford and the surrounding communities.